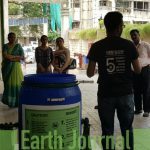 Here is a story of how 500 school children from Mumbai created zero waste homes with Mumbai based environmental organisation Earth5R. 500 young students of local Powai school undertaken a powerful waste management project and moving their families towards Zero Waste Homes. 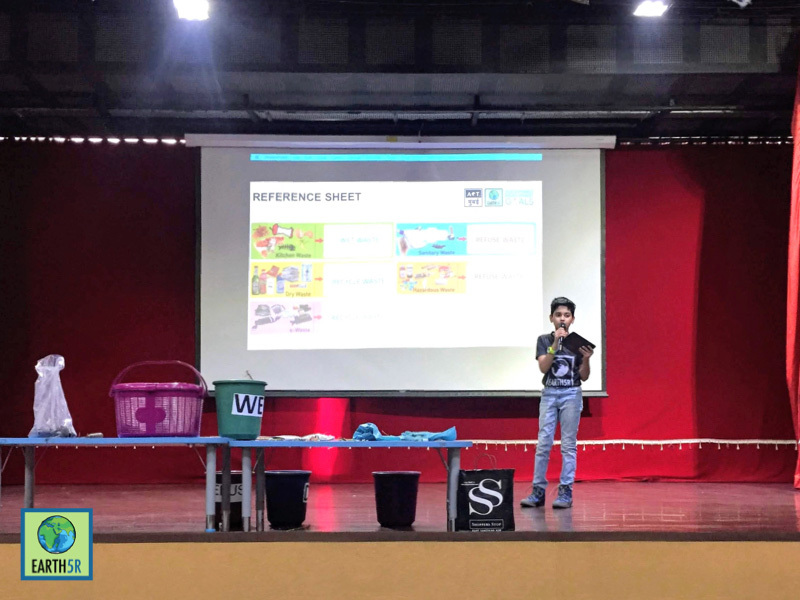 The School project run by Earth5R develops future leaders to tackle environmental issues and gives them an opportunity to solve real-world problems. The environment is a resource which we all need to save for today and for generations to come. In this endeavour, support and actions by the younger generation are paramount as they are the future of our planet. 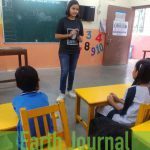 Earth5R, as a part of its ACT program trains school children to take corrective action at an individual level an make a positive impact on the environment. With a population of 9 lakhs, Powai is an area with a number of environmental & social challenges. The upmarket area of Hiranandani with commercial complexes & sophisticated lives is contrasted by the Hanuman Nagar slums in the immediate next block. Waste dumped on streets, manual scavenging of waste & growing pollution due to automobiles & industries is core to Powai’s environmental challenges. 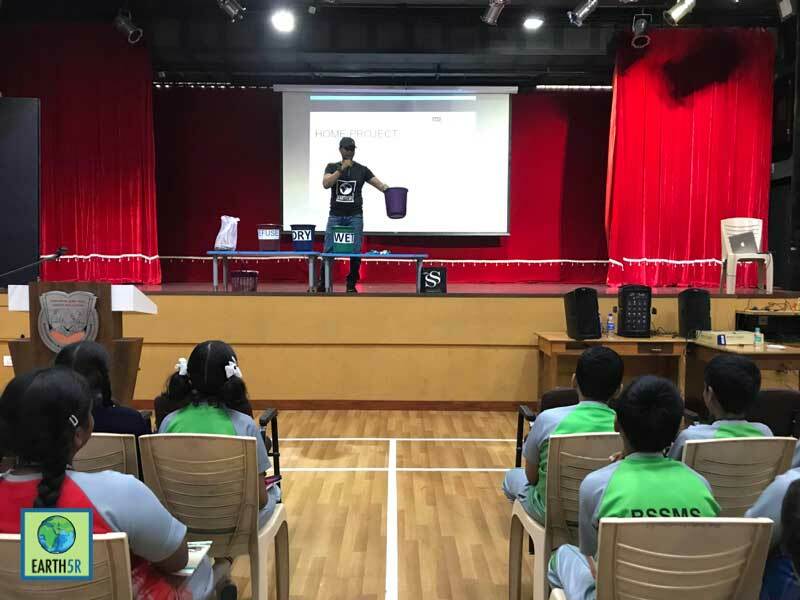 As a part of leadership development, the Earth5R team conducted an environment awareness & waste segregation workshop for the students of Powai. 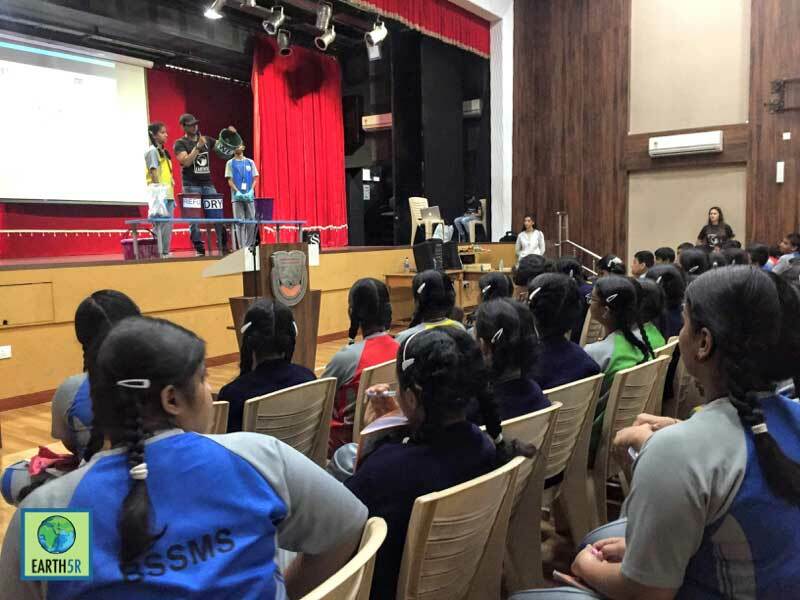 An environmental workshop was conducted in the auditorium with 500 students. 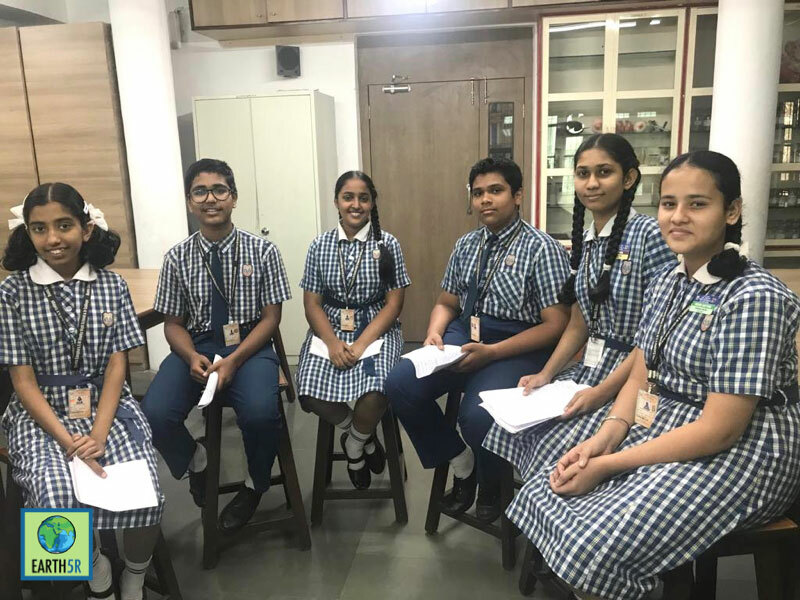 Earth5R team – Saurabh Gupta, Jahaan Gupta, Kshama Vighe, Preena Jaswal, Marya Lanewala and Camille Lafouresse mentored students about various environmental issues & what as an individual can we do to mitigate these problems. 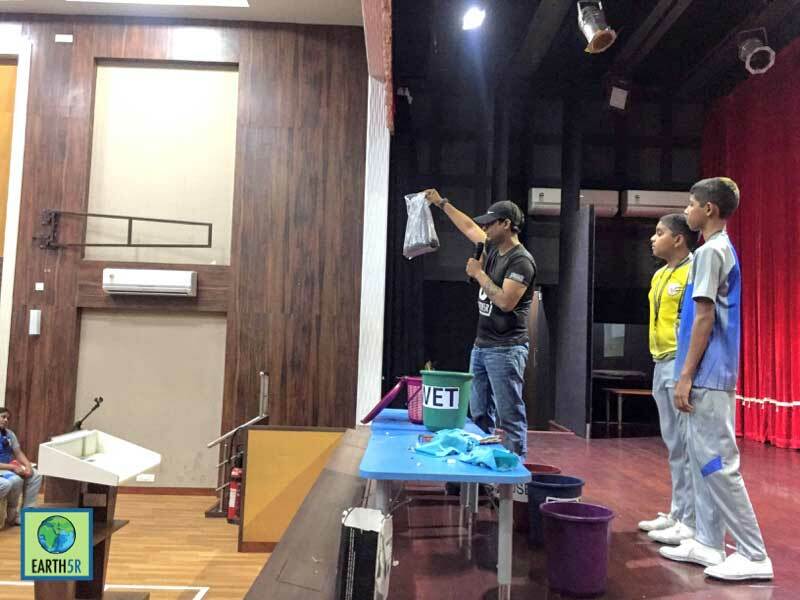 The workshop was followed by a practical session of waste segregation wherein the students were taught to segregate waste into wet waste, dry/recyclable waste and trash. They were introduced to the concept of composting & pelletization of recyclable waste. 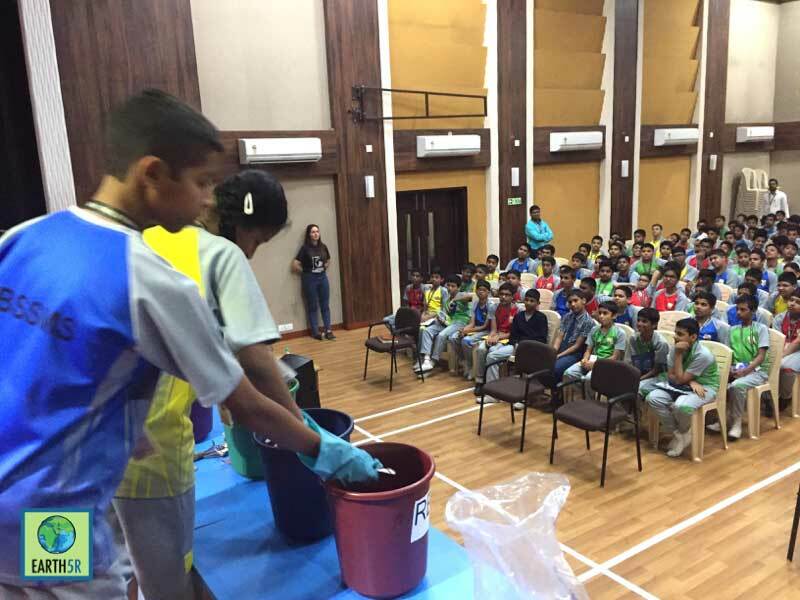 After understanding how powerful can waste segregation be, the students took a pledge to participate in a one-month waste segregation project. 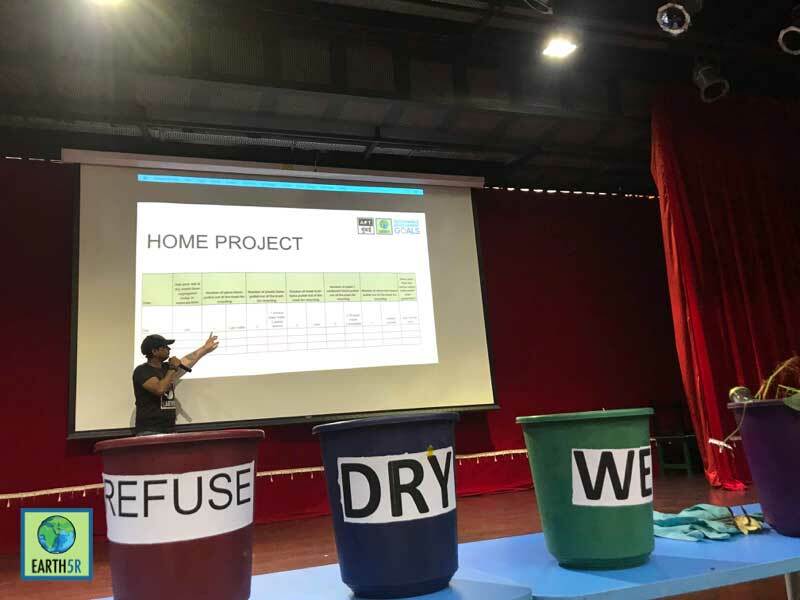 As a part of the waste management project, 500 students were to segregate household waste into – wet waste, recyclable waste & trash – every day. 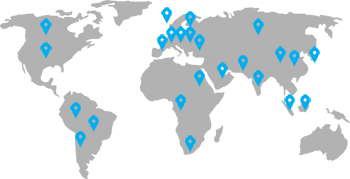 This project also included taking real-time data of the number & types of recyclable waste. Students were encouraged to sell recyclable wastes to rag-pickers. The data on recyclable waste played a vital role in making students realize how much waste they saved from going to landfills. The whole idea of training 500 students in waste segregation & practising for a month was to make an action-oriented impact. 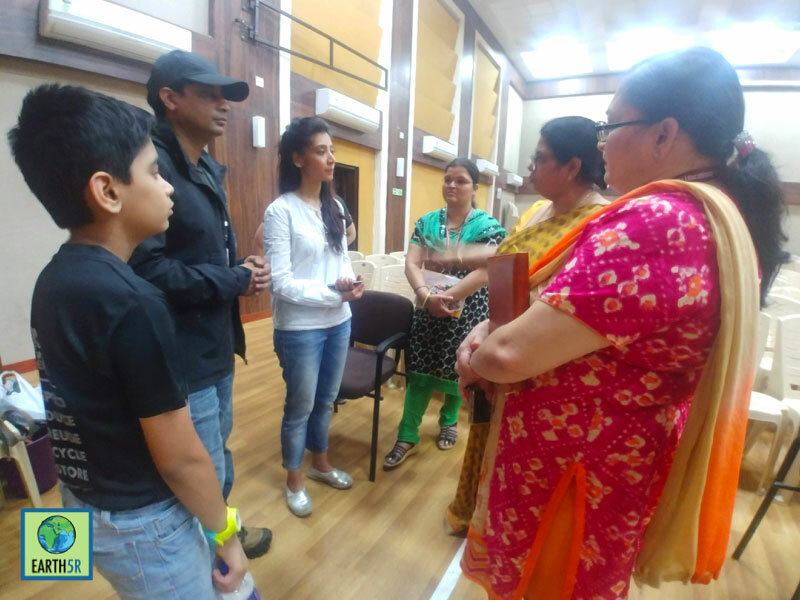 These students went out to inspire their families & also fellow children in the community. Some students went a way forward to encourage their societies to start segregating waste. 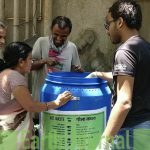 One of the major breakthroughs of the workshop was that the society members started planning to install recycling units in their buildings. Many also convinced their parents to continue the segregation after the one month project period. These actions & outcomes prove the possibilities of emerging environmental leaders – which the world needs at large. 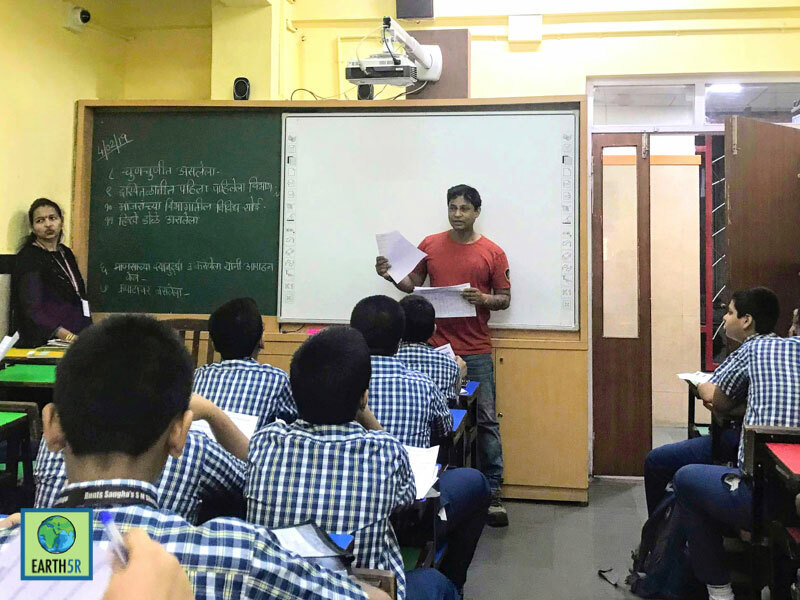 At the end of the one-month waste segregation project, the students were to submit the data collection sheets with their experience, learnings & takeaways. These experience sheets were proofs of how strongly the project impacted the student’s perception on the environment. 6 students who went on and beyond to work for the waste segregation project were selected as “Earth Warriors” and awarded. These students were: Takshak Shetty, Ruddrabalajirao Sutrave, Rudrani Devmane, Sakshi Rai, Sanjana Varde & Soumya Pande. SDG 3: Good Health & Wellbeing: Waste segregation would reduce manual scavenging of waste by rag-pickers. A lesser spread of diseases as there would be a check on flies & rats near well-managed waste bins. SDG 11: Sustainable Cities & Communities: Waste segregation & management is an indispensable part of sustainable cities & communities. SDG 13: Climate action: Waste recycling would reduce the manufacturing of new items & thus reduce the stress on natural resources. Goal 14: Life below Water: Waste is usually dumped into water & destroys aquatic life. When waste management is in place, this can be avoided. Goal 15: Life on Land: Waste management ensures a check on soil pollution. With proper treatment of leachate, ground-water can also be stopped from polluting. 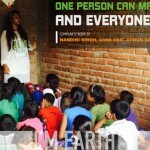 Earth5R aims to conduct similar Earth Talks & waste segregation workshops for students across India. Such a powerful activity would inspire millions to take action for our environment at an individual level. The Earth5r team invites schools & colleges to collaborate with us for training workshops for students & future leaders. Each mind touched is an active contributor for a better future. 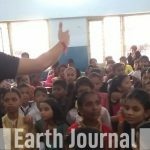 No Replies to "Environmental Leadership Workshop for Mumbai School Children"